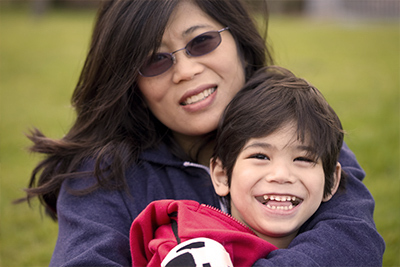 In the State of Washington, ABA Therapy is provided to children and adults ages 2-20* diagnosed with an Autism Spectrum Disorder. ABA Therapy helps to teach skill deficits and decrease behavior excesses. For example, if your loved one is struggling to communicate wants and needs, finds difficulty in self-help tasks such as dressing, toileting, and grooming, lacks social skills and downtime play activities, ABA Therapy can help to teach all of these skills. Additionally, if an individual engages in challenging behaviors such as severe tantrum, aggression, property destruction, elopement, self-injurious and self-stimulatory behaviors that prevent them from accessing a typical environment and hinder their quality of life, the staff with Discovery Behavior Solutions can help with that as well! 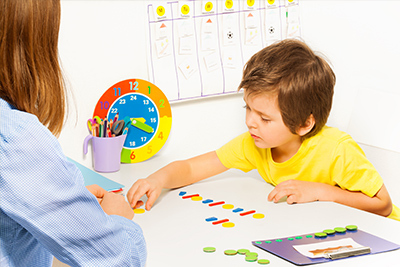 Developed from evidence-based practices from the field of Applied Behavior Analysis, ABA therapy utilizes a variety of teaching strategies such as positive reinforcement, Discrete Trial Training (DTT), Natural Environmental Training (NET), shaping and chaining, Pivotal Response Training, and other methods to help make the skills being taught appropriate for the learner and meaningful for their environment and daily life. Due to the extensive research the field of ABA has produced, it is recommended that individuals receive between 10-40 hours per week of the service. At Discovery Behavior Solutions, we pride ourselves in providing ABA Therapy to our clients, as our staff receive extensive training and are well supported, and our parents are recognized as essential to programming and provided with education and consultation as well. We are passionate about this field, because we know how valuable it is to the individuals receiving the service. Contact us today for additional information on our ABA Therapy service. For those that receive Medicaid funding through Washington Developmental Disabilities Administration. In order to qualify for Behavior Consultation services, please contact your Service Coordinator as soon as possible to make the request for Discovery Behavior Solutions to help. School district and educational organizations. DBS works closely with school districts, day care centers, and other educational institutions in a friendly and approachable manner to assist with the unique needs for the individual in that setting. Functional Behavior Assessments (including Functional Analysis Assessments) and Behavior Support Plans can be provided through a mutually-agreed upon service contract, in addition to on-going training and IEP support. Private-pay contracts. For short-term assistance, please contact us for more information. Do you have a picky eater? Does your individual in need refuse to eat certain foods, gag at the smell or sight of non-preferred foods? Have trouble eating regular meals at school or work due to rigidity? Contact us today to find out how Behavioral Feeding could help assist your loved one. For those individuals that are more than 100 miles from Vancouver Washington, but are still interested in consultation and/or workshops, Discovery Behavior Solutions would love to collaborate with you! DBS understands that many families and areas are underserved due to their location and lack of qualified professionals, but believes that they still deserve effective and high-quality treatment as those with greater access. Through the use of technology services such as video-conferencing, DBS is able to serve more clients from greater distances! For special circumstances, DBS will make travel arrangements to meet in-person for consultations and workshops. Please contact us today to see how we can support you. (Content in-progress!) 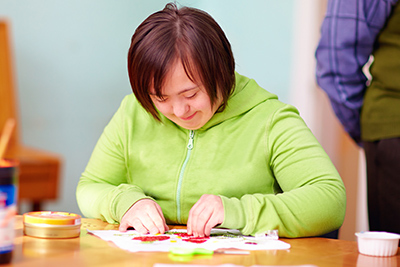 Many children and adults diagnosed with a mental or developmental disability are members of our community. From teachers and educators, to store clerks, church members, sports organizations, and law enforcement personnel, everyone can benefit from learning how to appropriately interact with an inclusive perspective. If you are an educator or member of law enforcement, contact us to see what opportunities are available for your profession. If you are attending (or have previously attended) a university cohort for Applied Behavior Analysis and looking for supervision hours, or are interested in becoming a Registered Behavior Technician(RBT™ with the Behavior Analysis Certification Board® contact us today to see how we can help assist you with your career goals. In the State of Washington, ABA Therapy it provided to children and adults ages 2-20* diagnosed with an Autism Spectrum Disorder. ABA Therapy helps to teach skill deficits and decrease behavior excesses. For example, if your loved one is struggling to communicate wants and needs, finds difficulty in self-help tasks such as dressing, toileting, and grooming, lacks social skills and downtime play activities, ABA Therapy can help to teach all of these skills. Additionally, if an individual engages in challenging behaviors such as severe tantrum, aggression, property destruction, elopement, self-injurious and self-stimulatory behaviors that prevent them from accessing a typical environment and hinder their quality of life, the staff with Discovery Behavior Solutions can help with that as well! Developed from evidence-based practices from the field of Applied Behavior Analysis, ABA therapy utilizes a variety of teaching strategies such as positive reinforcement, Discrete Trial Training (DTT), Natural Environmental Training (NET), shaping and chaining, Pivotal Response Training, and other methods to help make the skills being taught appropriate for the learner and meaningful for their environment and daily life. Due to the extensive research the field of ABA has produced, it is recommended that individuals receive between 10-40 hours per week of the service. At Discovery Behavior Solutions, we pride ourselves in providing ABA Therapy to our clients, as our staff receive extensive training and are well supported, and our parents are recognized as essential to programming and provided with education and consultation as well. We are passionate about this field, because we know how valuable it is to the individuals receiving the service. Contact us today for additional information on our ABA Therapy service. For those that receive Medicaid funding through Washington Developmental Disabilities Administration or Oregon Department of Developmental Services. In order to qualify for Behavior Consultation services, please contact your Service Coordinator as soon as possible to make the request for Discovery Behavior Solutions to help.